Food fills your stomach and good old friends make your day. Meeting good old friends just fills the soul with all the memories of good time spent together. Its just so refreshing and lifting. The good memories also spur new ones and I’ll will be starting my week tomorrow with this hope! I met one such friend of mine this weekend for a couple of hours. 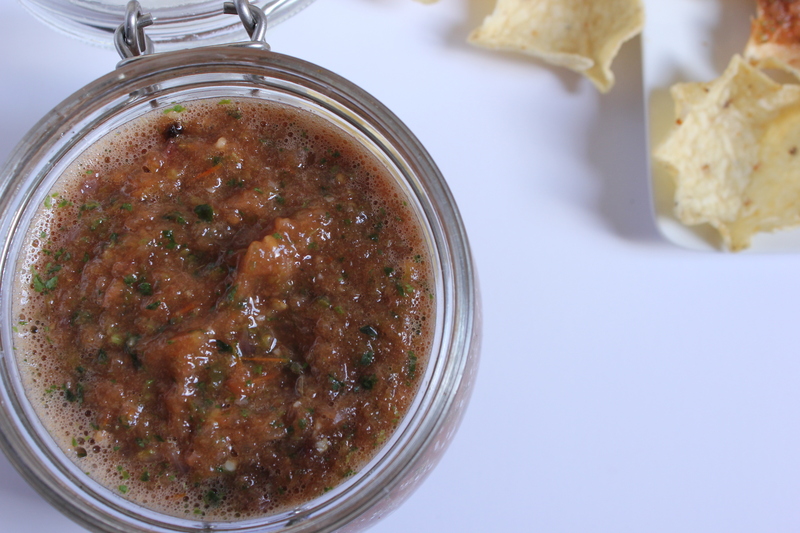 We chatted and tried to shrink the 2 years that we have been away, all while munching on tostidos with this salsa. 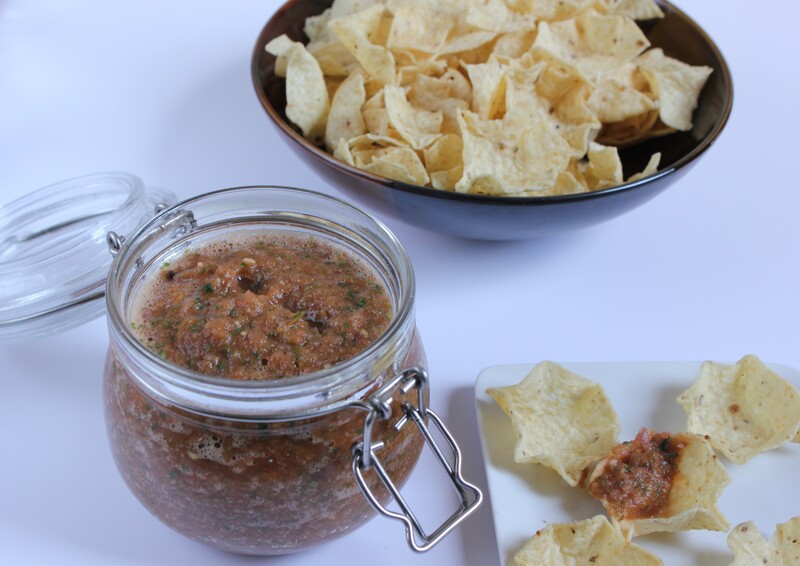 And its quite possibly the best salsa I ever I had. I don’t think I am going to buy salsa from store ever. Its fresh, oozing with flavors of garlic and fresh cilantro and most importantly free of any preservatives. You can make it ahead of time for your friends. It keeps fresh in refrigerator for up to a week. 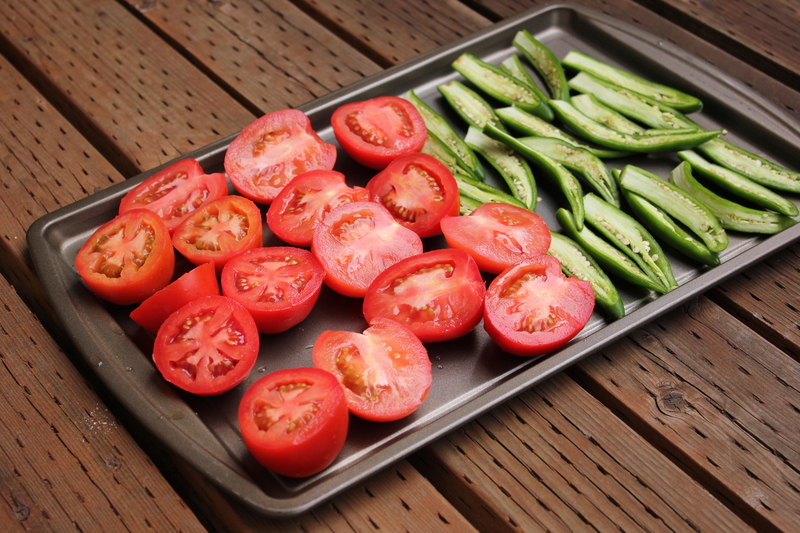 Halve the tomatoes, onions and peppers and lay on a cookie sheet with cut side facing up. Sprinkle crushed garlic on top of halved tomatoes. Throw the cookie sheet in oven for 15 minutes or until tomatoes are softened and peppers are charred. At this time your kitchen will fill with aroma of roasted garlic and onions. Let the contents cool a bit and add salt and washed cilantro. Blend everything together until you get the desired consistency. I like mine a little chunky.